Would you say that I am not much of a sweet tooth? Seriously, if I have to choose between most salty food specialties and candies, I easily go for the first ones. 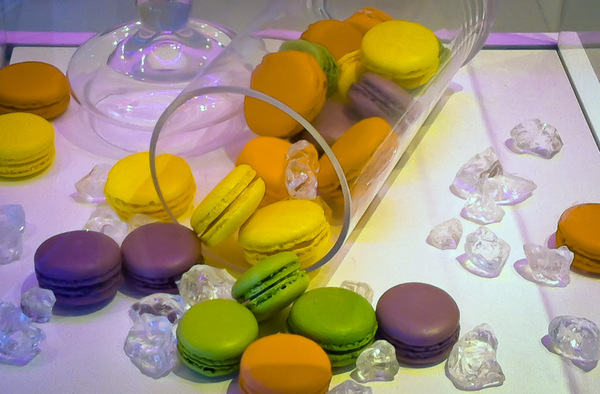 How beautiful, colored and creative are candy shops? Still, I am attracted by candies and chocolate, although in a different way. 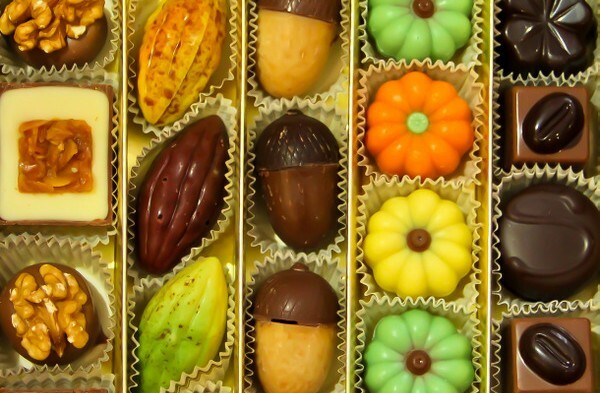 I like the artful fashion in which chocolate candies are displayed, the bright colors of candies and other sweets. 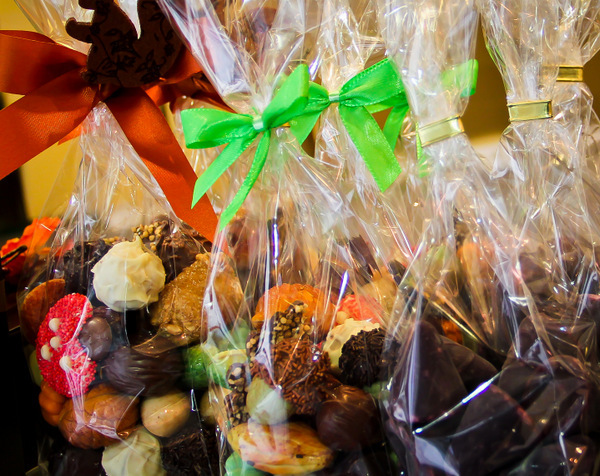 It looks like bonbons, jelly beans and chocolate can stir a lot of creativity and confectionery shops are often a treat for the eyes (if not for the palate). 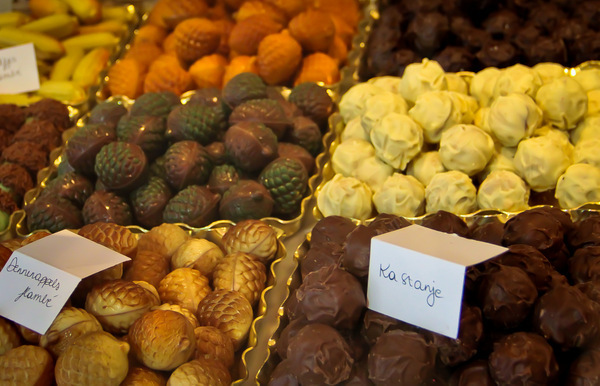 When I visited Flanders last year I couldn’t help stopping at the wonderful confectionery shops, displaying colorful boxes of chocolates looking like miniature sculptures, delightful small bags of yellow, orange, green, pink and purple candies. 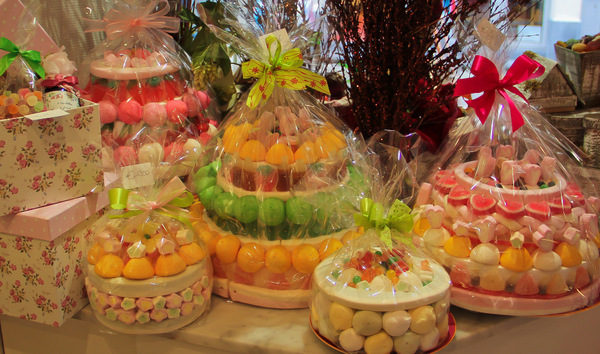 I may not be a sweet tooth, but I could have bought them all, just for how lovely they are. I grew up in Switzerland, where chocolate is the national iconic sweet and the rivalry with Belgian chocolate an endless – and unsolvable – dispute. I couldn’t tell which one is best. I like them both and love, from time to time, to indulge with a delicious piece of chocolate. In Bruges, I visited the Chocolate Museum where I discovered the fascinating history of chocolate, learning that cocoa was already a popular drink in ancient Mexico. 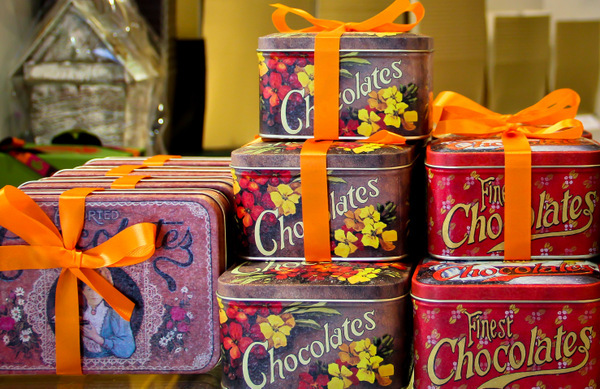 After seeing so many inviting chocolate boxes and bags, it was nice to know where chocolate comes from and how it has become such a undescribable and sophisticated delicacy. Have you ever heard of the Belgian cuberdons? 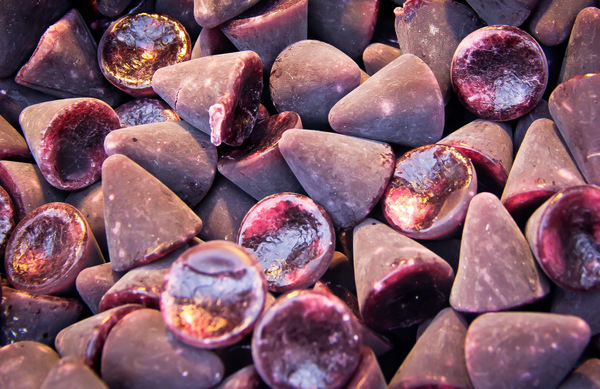 Along the streets, in the lovely city of Ghent, I stumbled into a charming cart filled with strange purple candies, shaped like cones. Intrigued, I stopped by and the vendor, spotting my curiosity, introduced me to the Belgian cuberdons, also called Ghent noses because of their appearance. Made of sugar, Arabic gum and syrup they don’t make a for a sweet tooth, but a super sweet one! So, although they are very popular in Belgium, I eventually decided to just look and not taste. Too luscious for me! 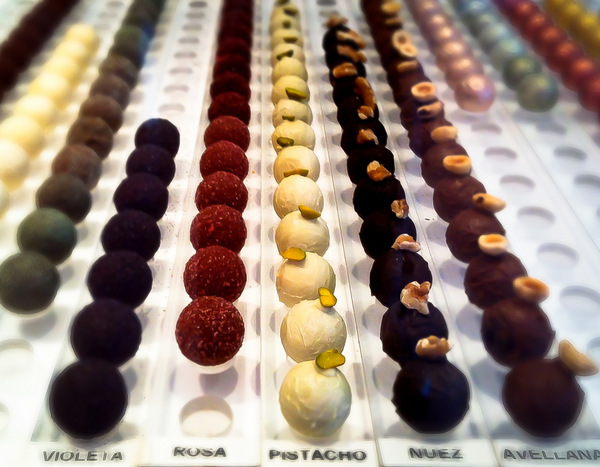 Spain is certainly not acclaimed as a country for candies and chocolate, still in Barcelona I came across a handful of charming shops, displaying any kind of sweets and macaroons with brilliant colors. Interestingly, compared to the cozy traditional confectionery boutiques I spotted in Flanders, candy stores in Barcelona were more modern, trendy and fashionable. No matter. In their way, they were charming all the same. Are you a sweet tooth? Where did you have the best candies and chocolate? Note: A big thank you goes to Visit Flanders and their kind invitation to discover a corner of Europe I hadn’t visited yet. It was gret to look at cuberdons without having to eat them! Love this post Simon! I’ve got such a sweet tooth it’s ridiculous and my mouth is watering at all the wonderful photos! Really amazing photos. What kind of lens do you use for your food photos? Your photography in this piece is amazing – and the colours don’t look real. This is one mouthwatering post! That is my idea of Heaven! It looks amazing.